Texas is hot. There's really no way around it. 100's every afternoon already and it's only early May. But I'd rather be hot than cold any day, and it's about time to get my tan on because I've been pasty white for a couple of years straight now (2 years ago pregnant and so sick, last year had a newborn and we weren't sleeping and he was tiny), and it's high time I get some color. 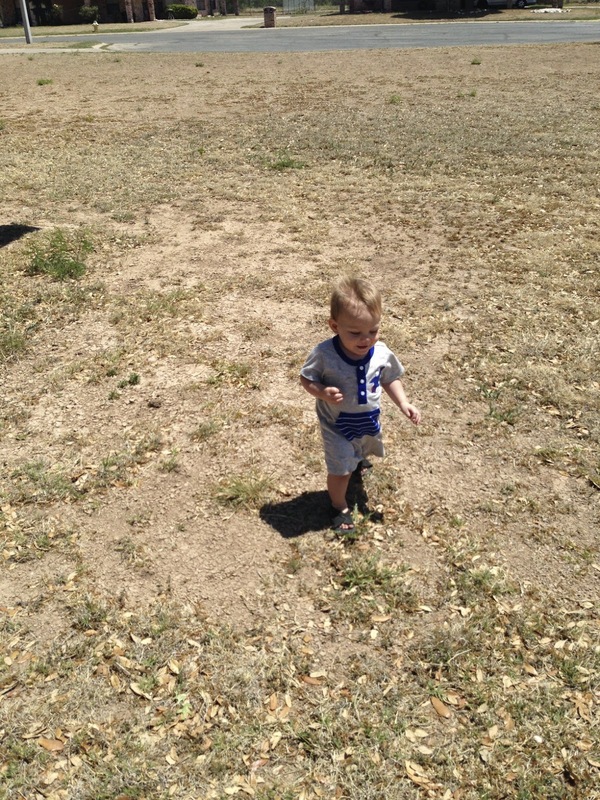 This summer will be different because my little munchkin can play outside. We spend our days outside exploring and I love watching Milo soak up everything around him. He has to check out all the dogs, all the bugs, all the weeds, pick up the rocks, poke the fences... he's such a little sponge. There's something about the way he talks back to the dogs and says "ba!" every time he sees a ball that just makes me melt. This year I plan on lots of swimming, stroller walks in the evenings, letting Milo roam around the park in the mornings, and swinging the day away in the backyard in 10 minute increments before we need AC breaks. I say this about every age... but this one year old thing is really, really fun.